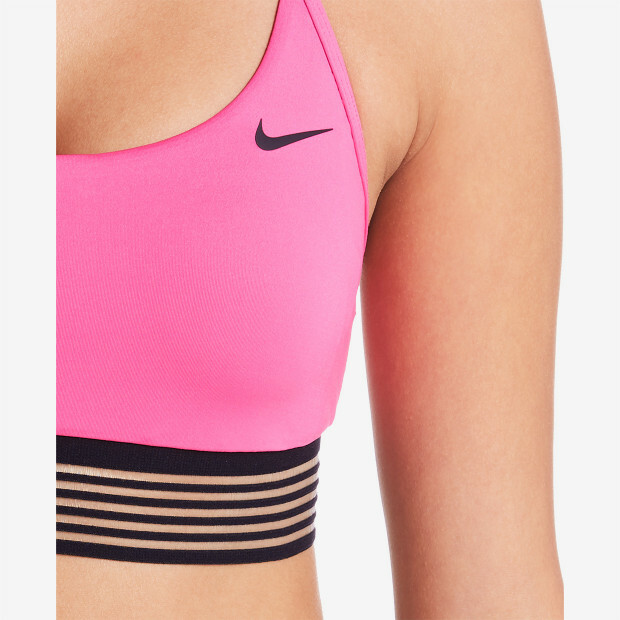 Nike Swim Women's Nike Solid Crossback Bikini Top has a sleek, streamlined design with adjustable straps for a secure fit. The athletic swim top offers medium bust support, with removable, quick-drying cups to customize your silhouette. The bikini top is fully lined to improve comfort and minimize transparency.